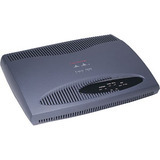 Cisco 1600 series routers connect small offices with Ethernet LANs to the Internet and to company intranets using several wide-area-network (WAN) technologies: Integrated Service Digital Network (ISDN), asynchronous serial, and synchronous serial such as Frame Relay, leased lines, Switched 56, Switched Multimegabit Data Service (SMDS), and X.25. Greater Performance: The Cisco 1600 R models deliver greater performance for memory-intensive applications such as encryption and compression. Easier Upgradability: The Cisco 1600 R routers permit software upgrades over any interface while the router is running. Lower Cost: Because the Cisco 1600 R models store the software in compressed form in flash memory, less flash memory is required to run advanced feature sets (such as Cisco 1600 series IOS IP Plus).